Although the workshop is taught in the language of the arts the content is really about life skills with a strong focus on creativity and resourcefulness. After all, a creative person can always find solutions to real-life problems. 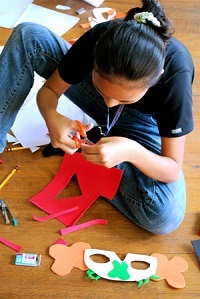 Fund a scholar for P10,000 ($235) for a workshop using the powerful Integrated Theater Arts approach.